The Tabard of Brilliance is an epic tabard, decorated with the same impressive graphic as the other WoW TCG Tabards, but featuring a grayscale color scheme. 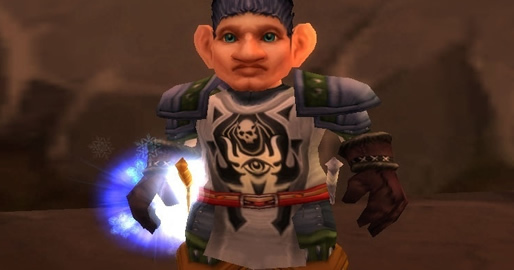 Tabard of Brilliance has no item level, so it can be equipped by even your level 1 banker alt! This is a very impressive looking tabard that will no doubt have others emoting /jealous. Tabard of Brilliance counts towards the Twenty-Five Tabards achievement. 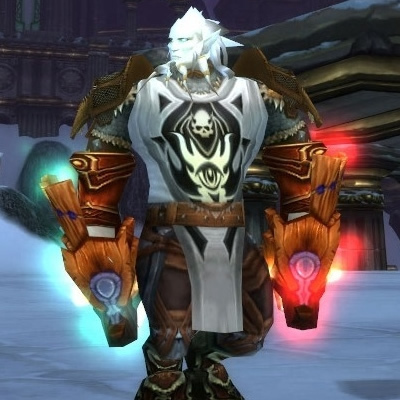 The Tabard of Brilliance is one of the seven ultra-rare UDE Points Tabards. 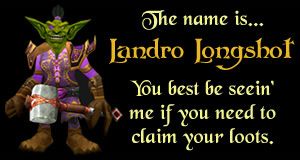 Since they have been long since unobtainable through that program, the only way you can claim this amazing tabard for your toons is to buy an unused loot code from an ebay seller.